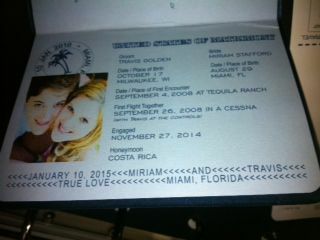 Designed to look and feel like actual US Passport, this authentic design makes for a great Save-the-Date, Invitation or Announcement for a destination, cruise or travel themed wedding. 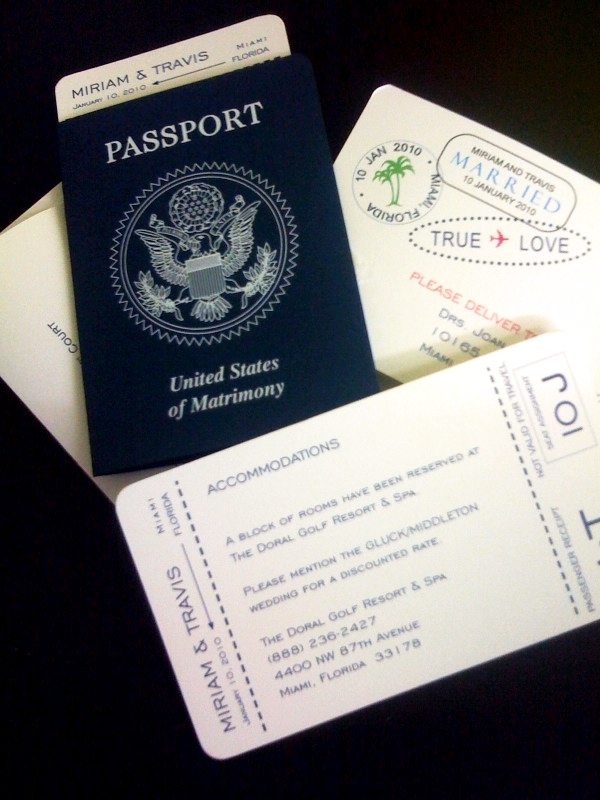 To match, we've created an RSVP and Reception Card design that simulates a Boarding Pass and Travel Voucher. 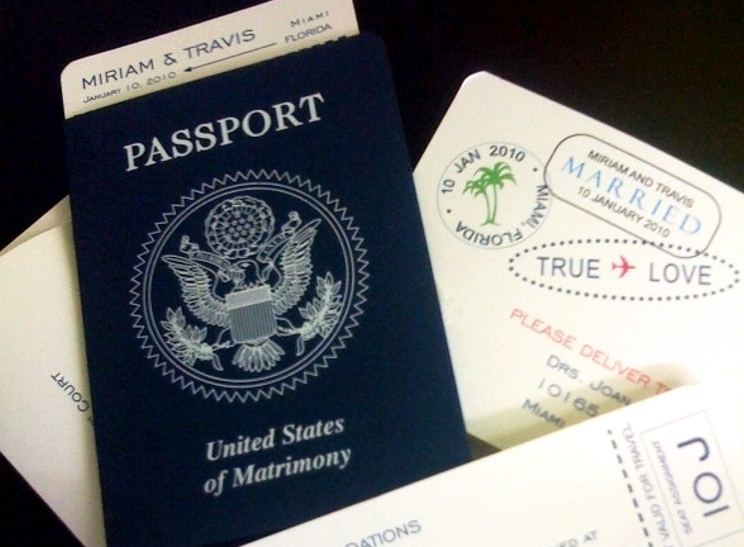 Designed to look and feel like actual US Passport, this authentic design makes for a great Save-the-Date, Invitation or Announcement for a destination, cruise or travel themed wedding. 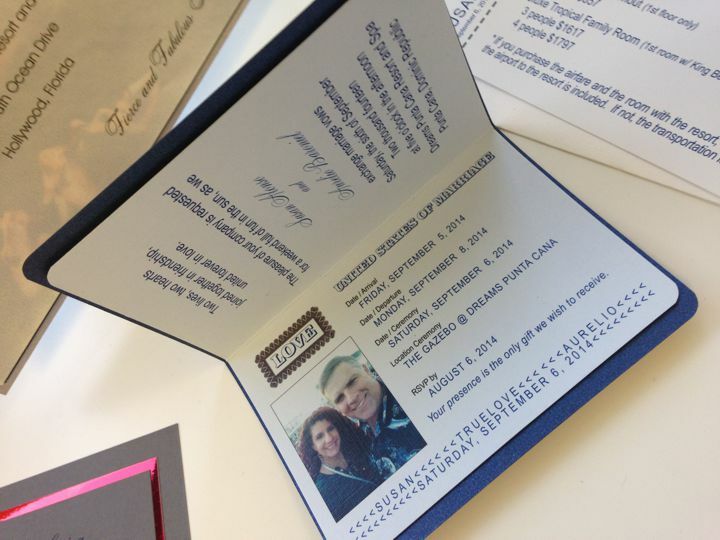 The RSVP and Reception Cards have been re-imagined as a Boarding Pass and Travel Voucher. 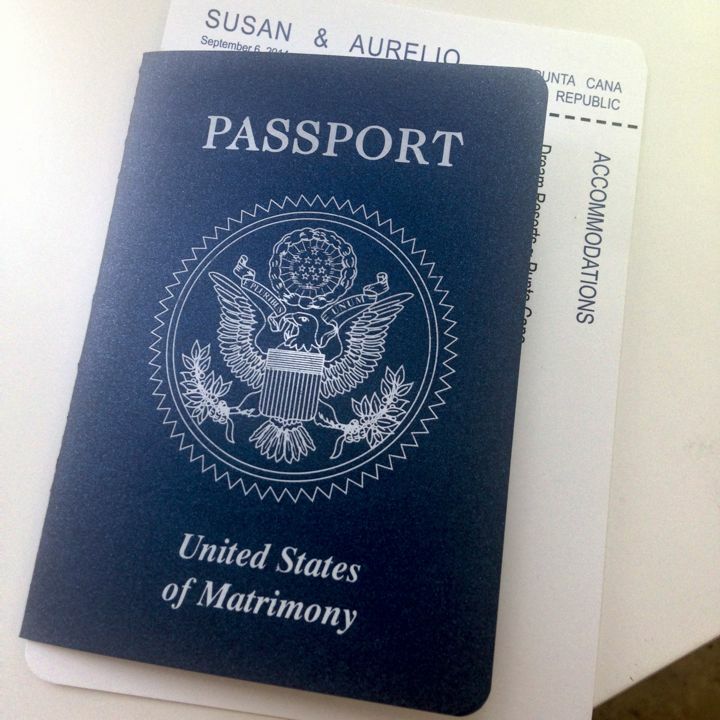 Available in an assortment of paper colors, the design features a white foil stamped crest along with the words Passport: United States of Matrimony.